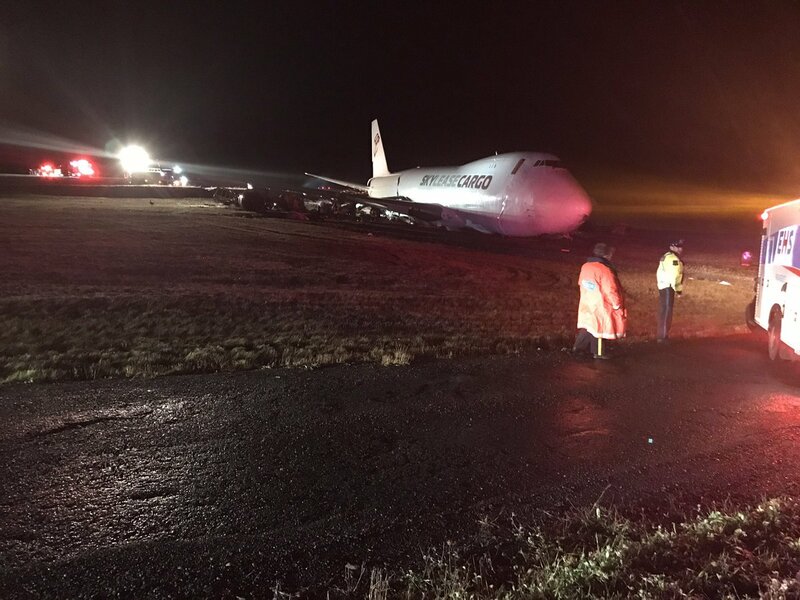 A Boeing 747-400 Freighter operated by US cargo carrier Sky Lease Cargo skidded off a Halifax runway early on 7 November, coming to rest on grass near an airport perimeter road, according to the Halifax airport and media reports. The aircraft, which photographs indicate has registration N908AR, was operating Sky Lease flight 4854 from Chicago when it crashed while landing on Runway 14 at Halifax Stanfield International airport. Canada's Transportation Safety Board has deployed a team of investigators to Halifax, it says. The accident happened at 05:05 local time, and the four crew on the aircraft were hospitalised for "minor injuries", says the airport. 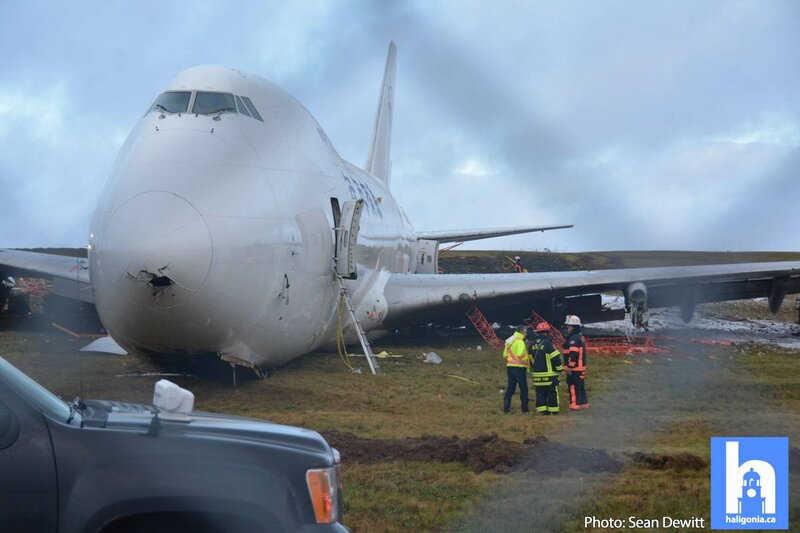 Video and photographs from the scene show the aircraft resting on its belly on grass southeast of the end of Runway 14. The aircraft appears badly damaged, and several of its engines had broken free from the wings. Runway 14, with a length of 7,700ft (2,347m), is shorter than Halifax's other runway, the 10,500ft-long Runway 05/23, according to the airport's website. Boeing delivered the 747-400F in 1997 to Singapore Airlines, and Sky Lease acquired it in April 2017, according to FlightGlobal's Fleets Analyzer database. The 747 had accumulated 88,300h and 16,100 cycles as of August, data shows. Sky Lease, an affiliate of TradeWinds Airlines, has offices in Miami and Greensboro, North Carolina, according to the company's website and filings with the Federal Aviation Administration.